My face burns with the fires of a thousand suns. I can smell the hot tar from newly paved road as it melts onto my shoes. Each gust of wind feels like the puff of air that comes out when you open an oven. Sweat pours out of every pore in my body, desperate for relief. And I’m only two miles into my afternoon run. According to the calendar, it’s mid-June, but according to the recent Cincinnati forecast, it’s more like we’re trapped in a defective sauna. And since my summer schedule has been exceptionally hectic, my only option for running has been to go around 3 p.m., in the hottest part of the day. I have easy access to a gym and a treadmill, but let’s face it, I know I’m not going to enjoy myself in there, so begrudgingly, I’ve been soaking in the heat. At first, it was unbearable (and most likely, unsafe). But now, I find that while it’s still not as relaxing as going for a run in the crisp fall air, I actually don’t mind the overbearing heat and humidity. I guess I’m finding some kind of zen in the sweltering temperatures. In a mere 30-minute run, I feel like I’ve completely exerted myself. I probably haven’t run that fast or that far, but as I come inside to the blissfully cool air conditioning, I feel satisfyingly exhausted and depleted. I thought I was just being desperate, but I might actually be training kinda smart. As it turns out, your body does quite a few amazing things to help you acclimate to exercise in the heat. And since I’m preparing for a notoriously hot race (the Bix), these fresh-from-the-oven training runs may do me more good than I originally thought. Or at least that’s what I’m hoping. Right now, I’ve been swapping my regularly scheduled tempo runs for “heat work.” It’s less of a conscious decision and more based on my inability to maintain any kind of speed in the heat, but I’m going to stop beating myself up about it and try to reframe it as a positive thing. You know, like altitude training. RAWR! Angry dinosaur coming through! I knew right then and there that if I was already slipping into my sloppy habits, so it was going to be a loooong 13.1 miles. But more than that, I was suddenly hyper-aware of my running form. 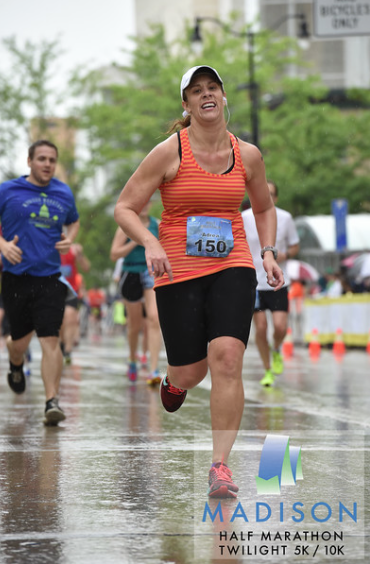 You see, we had just watched Maggie’s Video Gait Analysis, and while I was thinking about my legs (because Maggie’s problems are lower-body-related), I hadn’t thought at all about my arm swing. Arm swing is something I do really poorly. It’s something I’ve always done really poorly, and it’s to point where doing it correctly feels odd, forced and unnatural. I need to fix this — STAT! My arm swing affects everything from my posture to my foot strike. And if it weren’t for Maggie casually commenting on my Jurassic arm, I might never have consciously made an effort to do something about it. Now, I don’t necessarily recommend asking a friend for a running form analysis in the middle of a race, but I do recommend that you ask the people you run with often to tell you how you run. 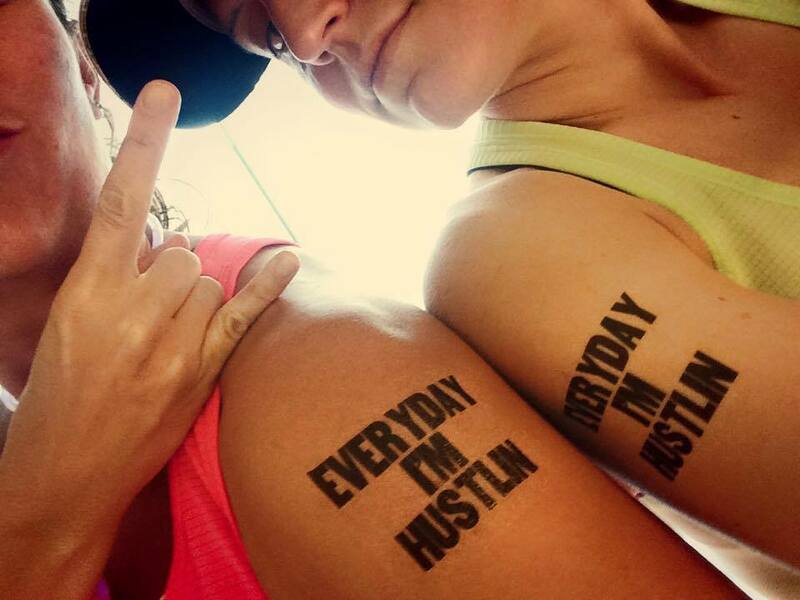 Odds are that they know exactly what your sloppy habits are, how your form changes when you get tired, and the ways you compensate when you’re injured. Have you ever really watched yourself run? The answer is probably no. Maybe you’ve seen a short clip taken with a loved one’s cell phone as you breezed by during a marathon. Or perhaps you’ve picked out your tiny self on the finish line cam at a race. And, let’s be real, you’ve probably sneakily watched your reflection in a storefront window or in the mirror at the gym. It turns out, you can learn a lot by really watching yourself run, especially when you also have a certified professional really watch you run and break down your form frame by frame in a process known as Video Gait Analysis. I’ve been injured for so long (since October, kids!) and gone through months of physical therapy to attack problem after problem, many of which were the result of compensation for other issues. 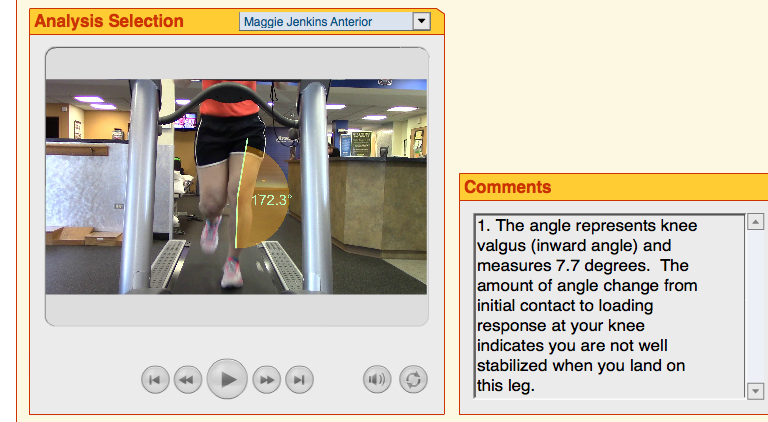 A few weeks ago when I began my latest round of PT, my physical therapist suggested I undergo Video Gait Analysis (VGA). It would allow them to see exactly how my injuries were affecting my running form and to pinpoint weaknesses to target in my therapy. In short: it could help me recover while becoming a stronger, more efficient runner. Zero downside. I was told to wear my usual running shoes, shorts and a shirt that was a different color than my shorts. I hopped on the treadmill and put the speed at a “comfortable” pace. I warmed up for about five minutes before filming began, mostly to make sure I was running naturally and not “posing” for the camera. Chris, the physical therapist/VGA expert, set up the video camera and recorded me running for a couple minutes from each angle (back, front, left, right). All told, the recording process took about 20 minutes. And, because it was part of my rehab, my insurance paid the total cost. Score! The very next PT session, my physical therapist began incorporating Chris’ preliminary VGA findings into my routine (more on that in a minute). About a week later, I received a fancy CD-ROM (yes, those are still a thing), complete with my VGA, screen shots, notes and exercises to do at home. Unfortunately, I couldn’t actually watch the video part of the Video Gait Analysis; it was PC-based software and I’m an Apple gal all the way. A few IT-related snafus later, I finally had my VGA, and I watched it with Adrea and Sara before our trip to the Madison Half Marathon. Screen shots of two of the biggest problems revealed in my VGA: knee collapse and hip drop. The unsolved mystery is whether all of these issues are the result of or the cause of my injuries. I’m guessing it’s a combination of both, but I sure wish I had a VGA of my running form from last summer so I could compare them. In the weeks following my VGA, my physical therapy has grown much more intense as I work to heal, strengthen and change my muscle memory. Squats of all shapes and sizes. Running and hopping on a trampoline and Bosu ball balance/strength exercises, all in front of a mirror so I can watch the angles of my knees, hips and ankles. It’s HARD, and I feel like I’ve had an actual workout when I’m done, not like I paid good money just to do a bunch of lame stretches. As a result, I’ve incorporated changes to my running form. My cadence is back up in the 175-180 range — where it was pre-injury — and I’ve shortened my stride. My trunk lean and hip drop are decreasing as my strength increases. 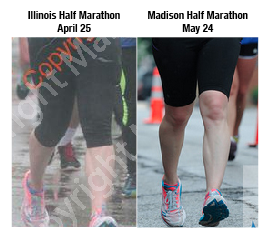 But the biggest change I’ve made is keeping my knees from collapsing, both when running and standing in general. When I first started concentrating on this, it felt like I was practically spread-eagle, even though at a glance, it is hardly noticeable. After about a month, it’s becoming a natural movement, and that minor adjustment also has helped limit my overpronation and improved my posture. Upon my physical therapist’s recommendation, I also saw a podiatrist. My custom orthotics will be ready for pickup in a couple weeks, at which time, I’m going to get fitted for some new kicks at my friendly neighborhood running store to carry me through the rest of marathon training.